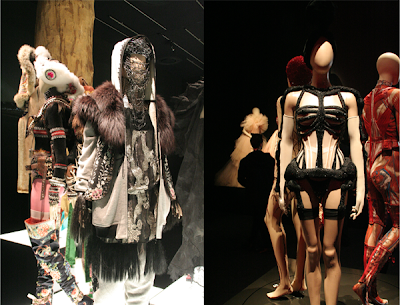 The Fashion World of Jean Paul Gaultier – From the Sidewalk to the Catwalk | WRITTENONSKIN. Last Friday I was invited to Jean Paul Gaultier’s first retrospective: ‘The Fashion World of Jean Paul Gaultier – From the Sidewalk to the Catwalk’ in the Kunsthal Rotterdam. Before I visited the exhibition Gaultier was interviewed on stage. He talked about his childhood, how he got interested in fashion, that his little teddybear Nana helped him to create controversial designs like the bustiers and that even a tin can of cat food led to design a range of African bracelets (!). For his collections, he was inspired by various countries ranging from Africa and India to Russia and Mexico. With an infallible feeling for the spirit of the era, he taps into existing subcultures such as French Existentialism, Jewish Rabbis, English White Trash and the world of mariners. 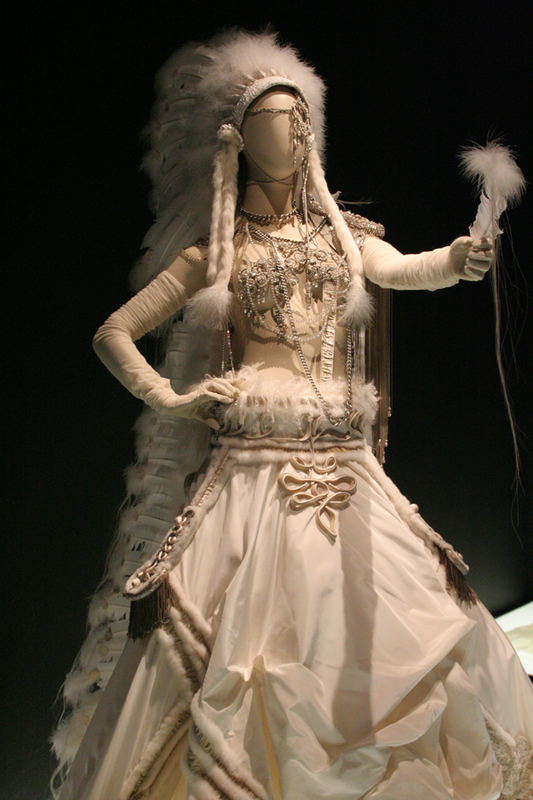 Gaultier’s work blurs the line between ‘male’ and ‘female’.His subversive and extravagant designs for stars such as Madonna and Lady Gaga are world-famous; he has determined the face of fashion over the last 35 years. 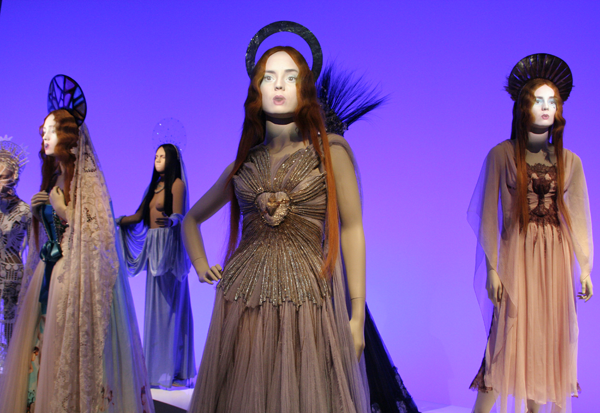 Over 120 original designs are exhibited together with video footage of fashion shows, concerts, dance performances, films and music videos, drawings and sketches, and photographs by leading photographers such as Cindy Sherman, Bettina Rheims, Mario Testino, David LaChapelle, Helmut Newton and Robert Doisneau. Truly a must see!